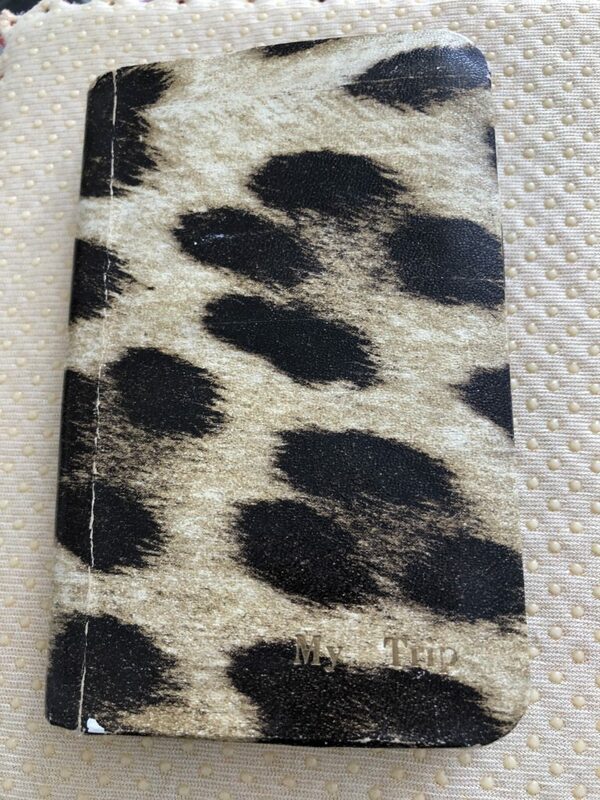 Recently, I posted some treasures* which we found while cleaning out boxes, cubbies, closets, etc. Well, it continues: more cleaning means more treasures. 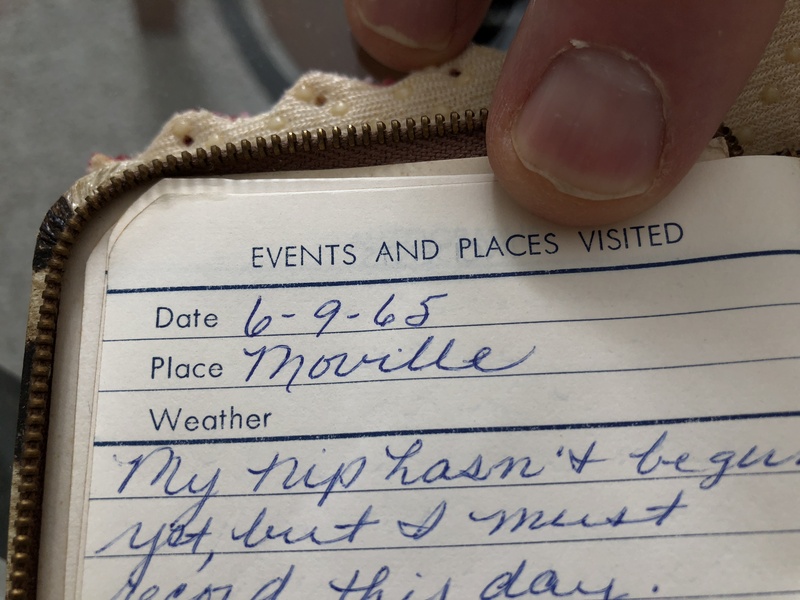 I found a journal of a trip to Saltillo Mexico with LaRee Roper Mayes, previously of Redfield, Yankton College, and now living in Rapid City. We drove a little 1962 light blue VW Bug. The night before heading South through Nebraska, we stopped at Wink’s Dad farm in Iowa, and Wink gave me an engagement ring. The journal begins with that day…. 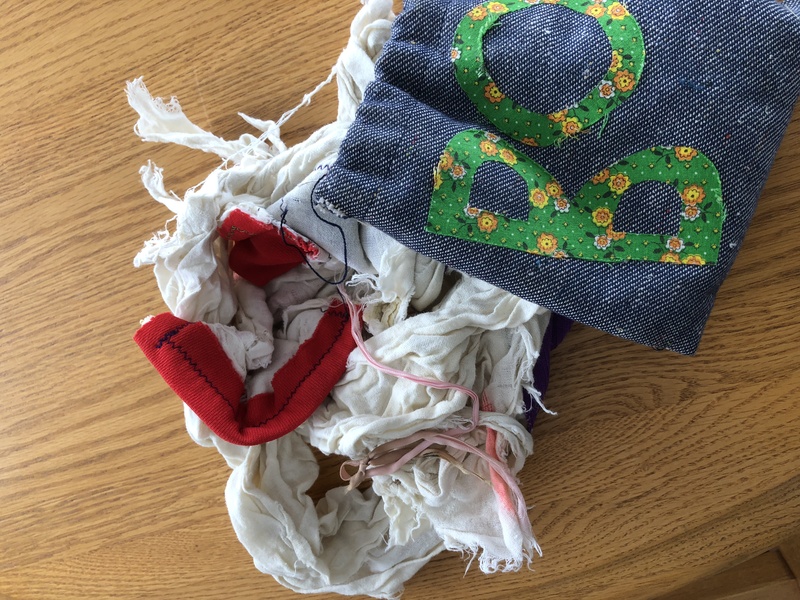 Kids had blankies which they loved to pieces, and then Grandma Dora (Wink-side of family) would make another one. Here are the remnants of one the blankies which had been cuddled to death. We used to have Family Council meetings on Sunday evenings; the duties rotated: Prez and Sribe. The Prez led us through plans & chores for the coming week, fun time for the week, TV-time allotment, etc. I found 3 hand-written notebooks of our minutes. 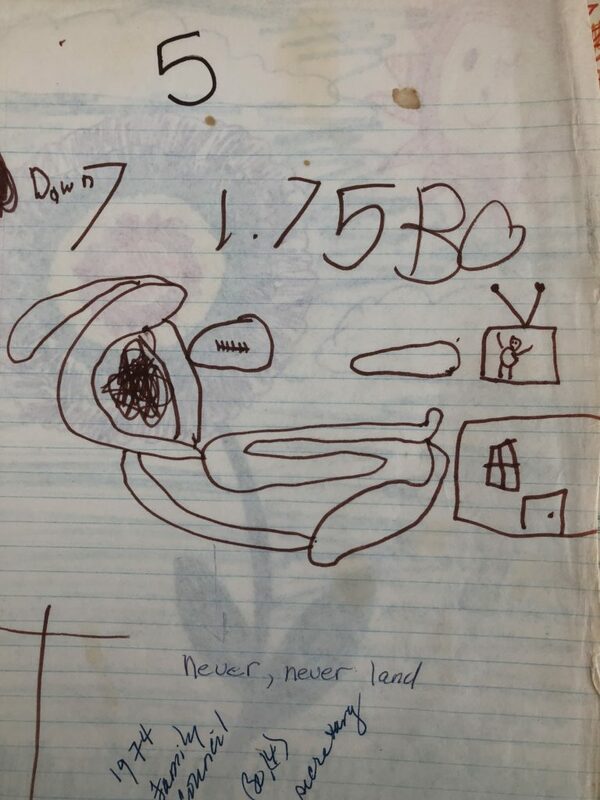 When Bo was about 4 and still not writing, he used his pictures, numbers, and letters to record the minutes: Gotta love “emergent literacy.” Below this photo, I will “read” what he had written. 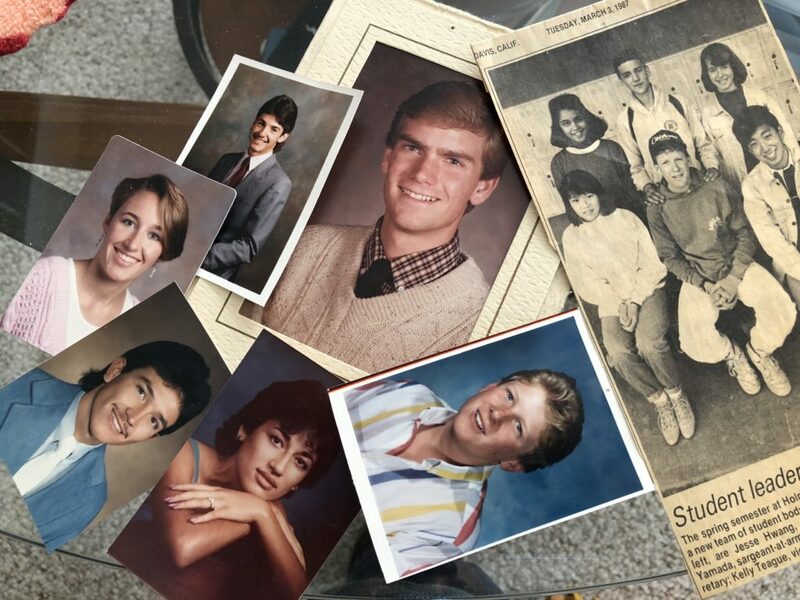 Late 70’s mostly Benson Kids and a few Davis Kids. Dawn’s school scrapbooks, K-12, through undergrad, grad, year studying in Germany, and summer studying in Sevilla, Spain. Dawn will be here in a month and can finish cleaning up those boxes–stay tuned, as I see another WinkWorld coming. In the previous WinkWorld, I shared the story of Willie Nelson/Julio Iglesias song and party which my friends at Davis Joint Unified School District had for me, when we moved to College Station, TX. 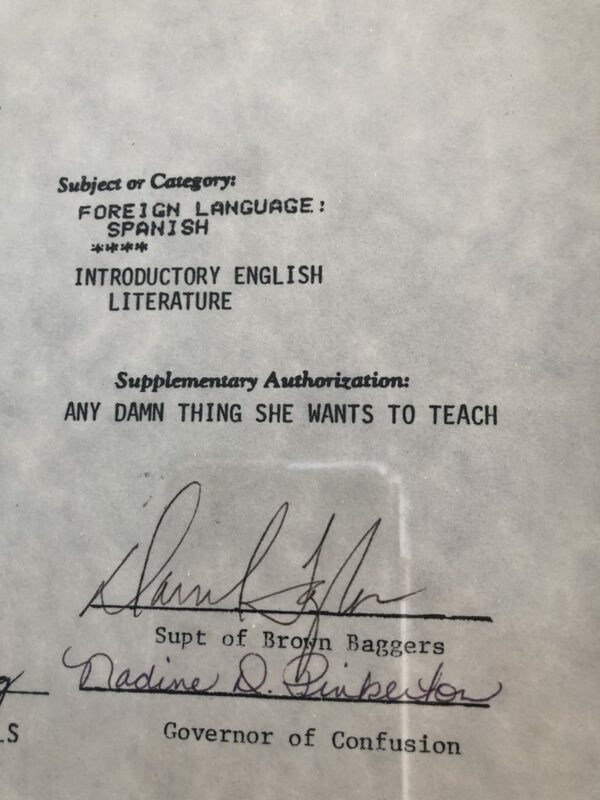 They presented me with a California Teaching Credential; note the special signatures from the Superintendent, Assistant Superintendent, etc. Copy of the original homestead papers for our ranch, signed by Cecil A. Richardson (my grandfather) and Woodrow Wilson (the president). 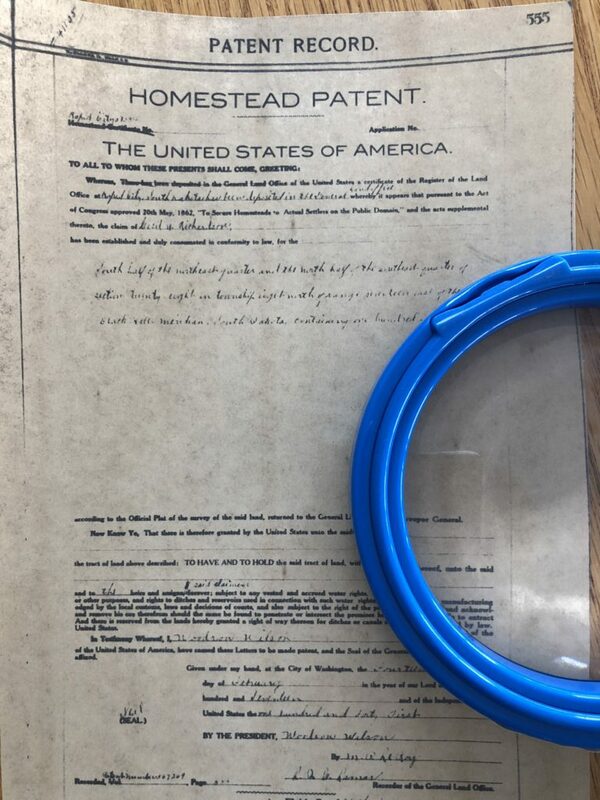 Actually, we found lots of homestead papers, and Wink has spent hours with that blue magnifying glass, reading the papers and telling me the stories buried in the old, old papers. Finished cleaning? I hope. I have to get back to work…said the retired person. Just could not let those memories get away, and even if you and Bo never want them/need them, you will always have access to them. 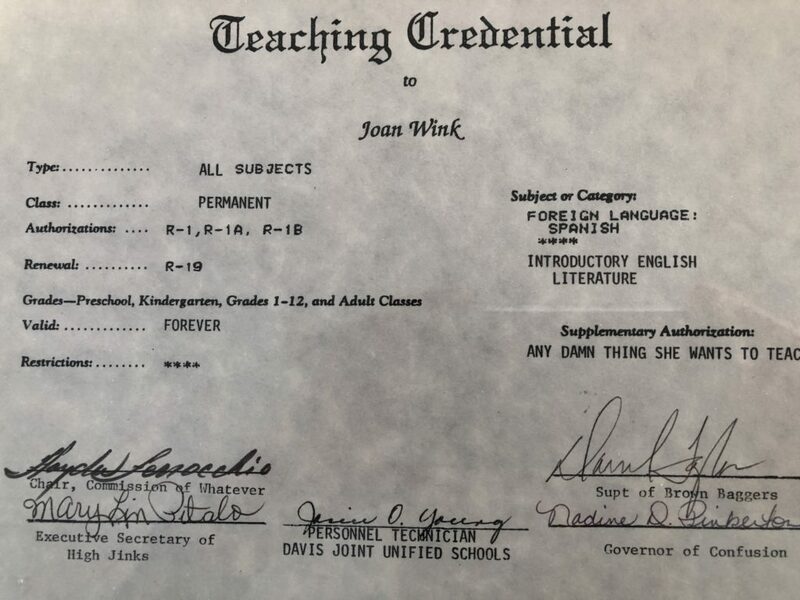 Joan, seeing your treasures reminded me of a few of mine: My grandmother’s glasses and wedding ring and my grandparents’ original marriage license. Hi Chris, I received so many memories from friends, after I posted the first “treasures” WinkWorld.